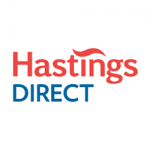 Hastings Direct was launched in 1997 and since then has become an award-winning insurance company and is one of the UK’s fastest growing insurance brokers. Hastings Direct provides car, bike, van, home and pet insurance, as well as a range of ancillary products and services such as breakdown cover, personal accident, substitute vehicle and key and legal cover. 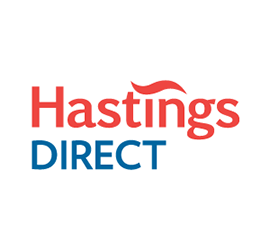 Hastings Direct is known for its mascot, Harry Hastings, an animated figure dressed in battle gear from the Battle of Hastings in 1066. All Hastings Direct advertising features Harry Hastings. Hastings Direct offer Defaqto 5 Star rated car insurance offering the highest standards at a great price. Their policies offer many extras as standard which would normally carry an additional cost. All quotes from Hastings Direct also give you a half price MOT at Halfords Autocentres. Vandalism cover is included as standard meaning you will not lose your no claims bonus should your car be a target for vandals. This is also the same if you are hit by an uninsured driver, and on top fo this you won’t even have to pay your excess providing your policy is underwriten by Advantage. With a Hastings Direct policy you are also covered for up to 90 days of foreign driving inside the EU. Hastings Direct also offer a multi-car insurance policy to help save time and money if you have more than one car in the house.